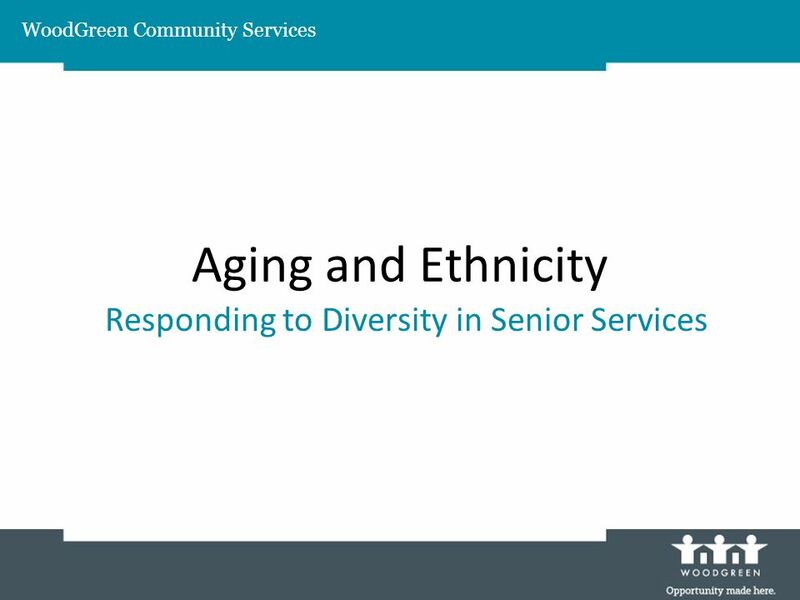 Aging and Ethnicity Responding to Diversity in Senior Services WoodGreen Community Services. 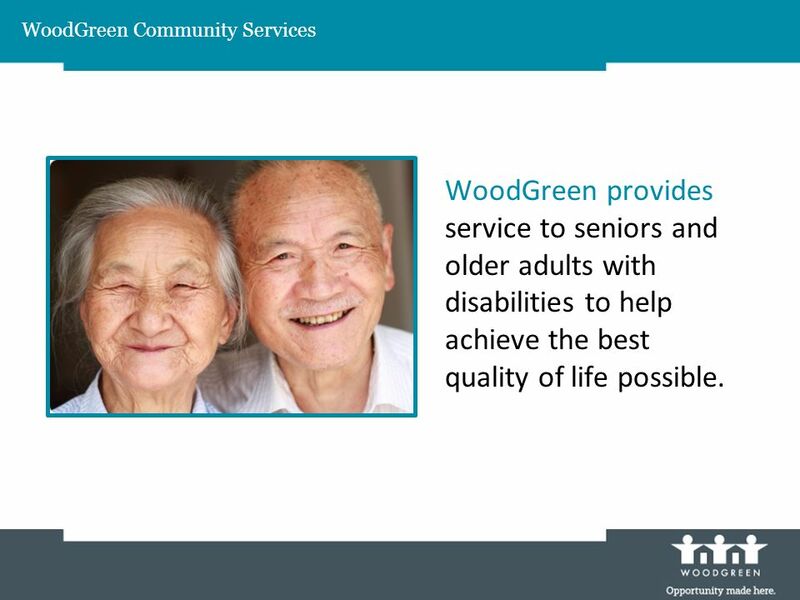 2 WoodGreen provides service to seniors and older adults with disabilities to help achieve the best quality of life possible. 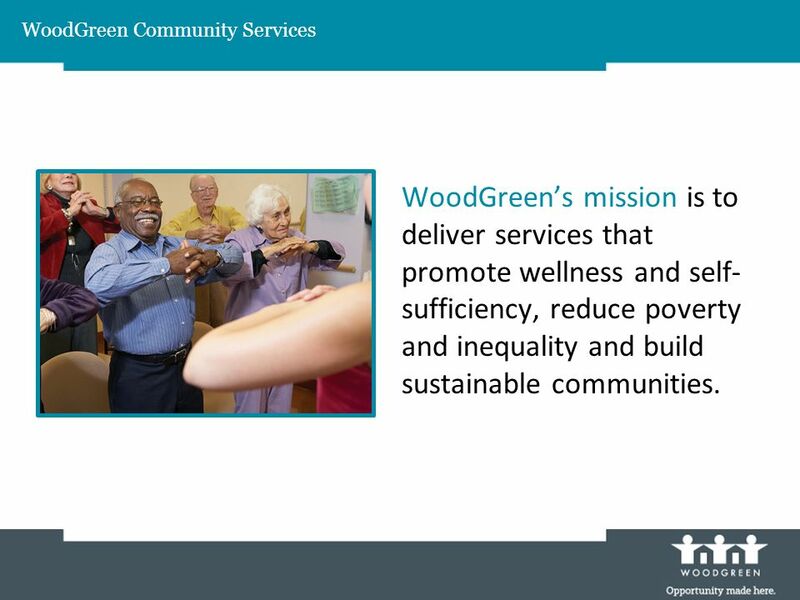 3 WoodGreen Community Services WoodGreens mission is to deliver services that promote wellness and self- sufficiency, reduce poverty and inequality and build sustainable communities. 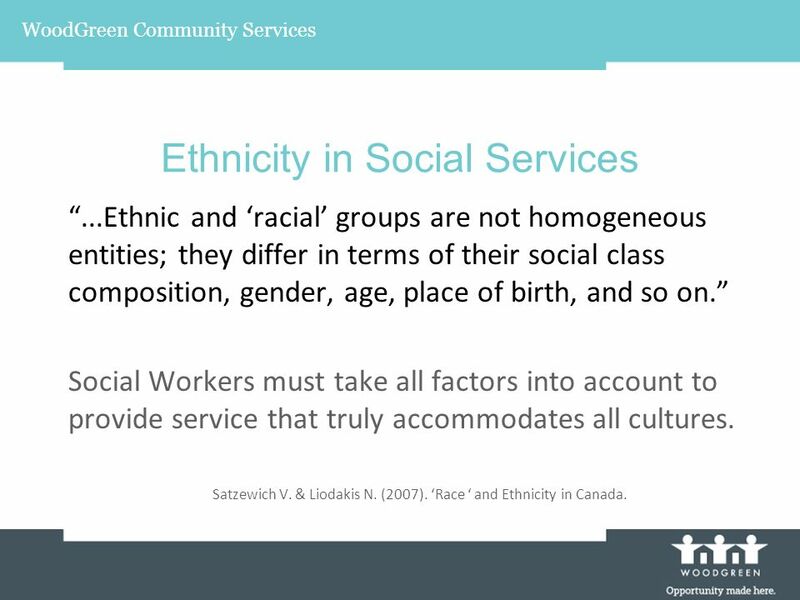 4 WoodGreen Community Services Ethnicity in Social Services...Ethnic and racial groups are not homogeneous entities; they differ in terms of their social class composition, gender, age, place of birth, and so on. 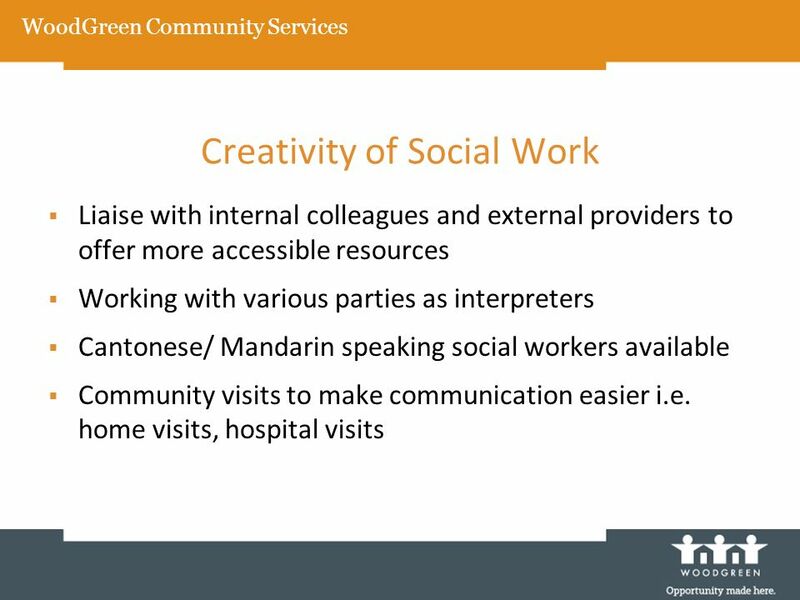 Social Workers must take all factors into account to provide service that truly accommodates all cultures. Satzewich V. & Liodakis N. (2007). 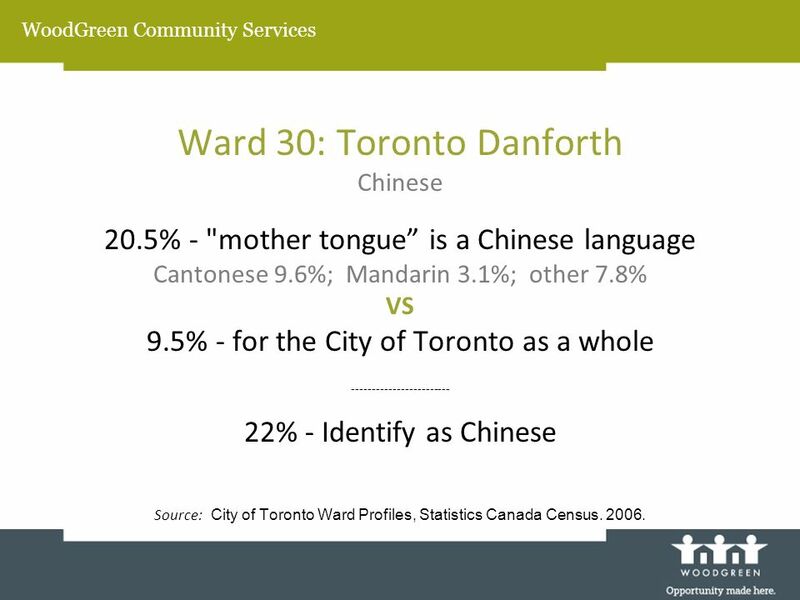 Race and Ethnicity in Canada. 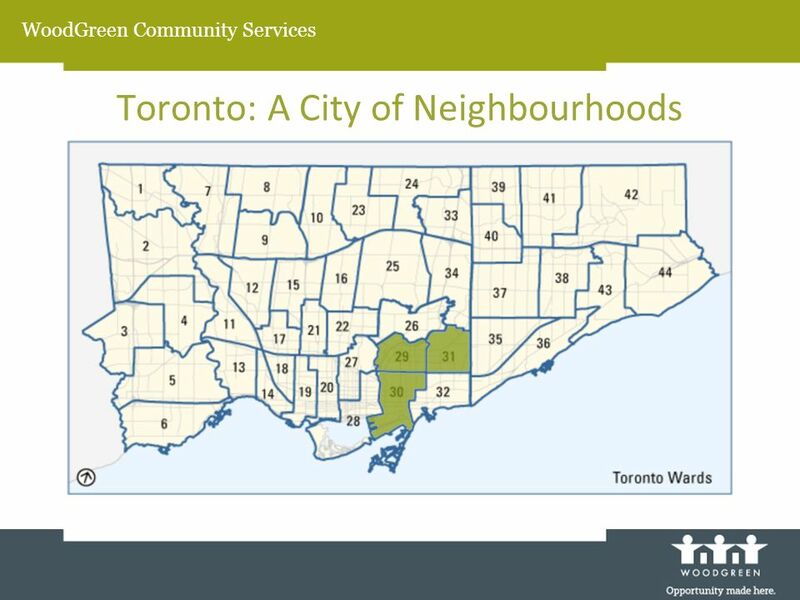 6 WoodGreen Community Services Ward 31: Beaches - East York South Asian and Greek 9.6% - Mother tongue is a South Asian language 5.1% - Bengali speakers (then Urdu and Tamil) VS 4% - in the City of Toronto as a whole ----------------------------------------------- 8.2% - Self-Identify as South Asian Source: City of Toronto Ward Profiles, Statistics Canada Census. 2006. 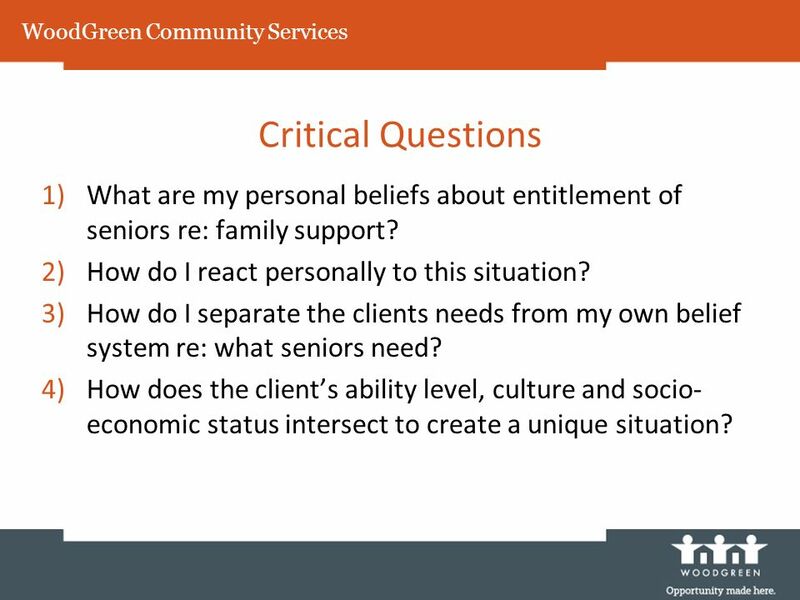 11 Critical Questions 1)What are my personal beliefs about entitlement of seniors re: family support? 2)How do I react personally to this situation? 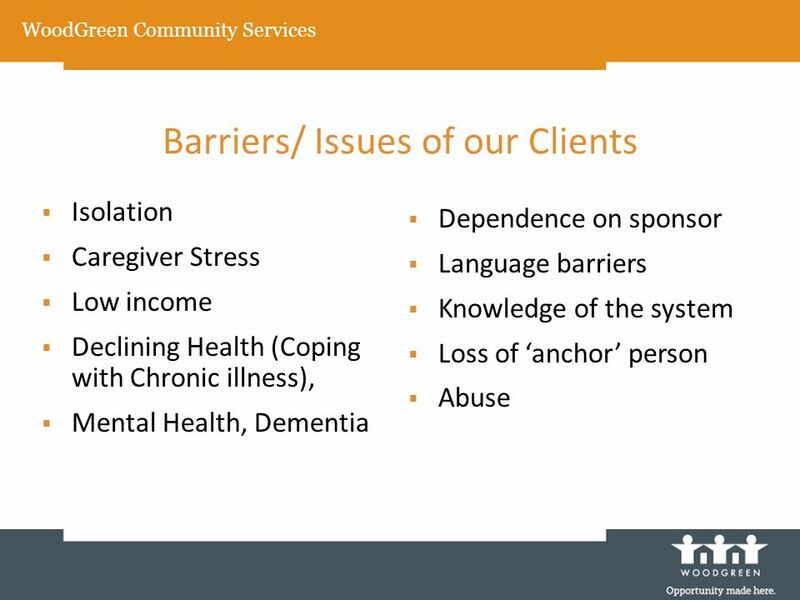 3)How do I separate the clients needs from my own belief system re: what seniors need? 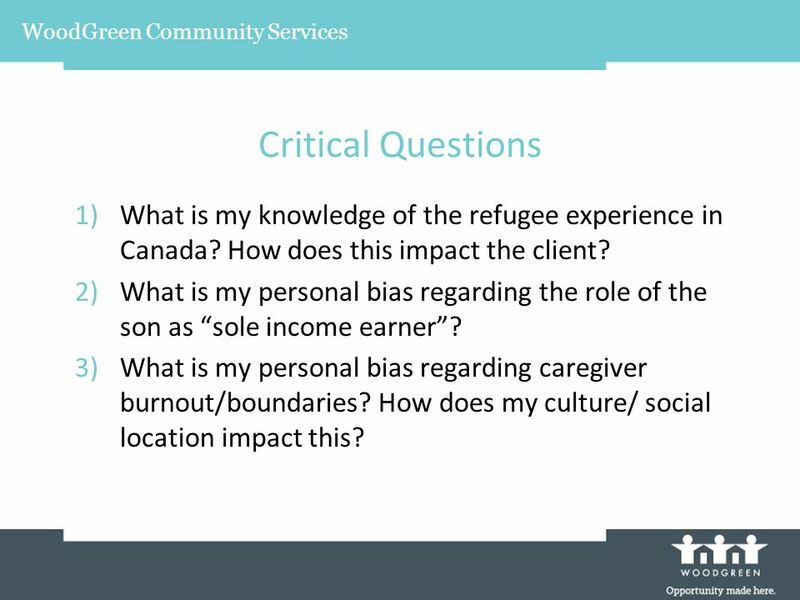 4)How does the clients ability level, culture and socio- economic status intersect to create a unique situation? 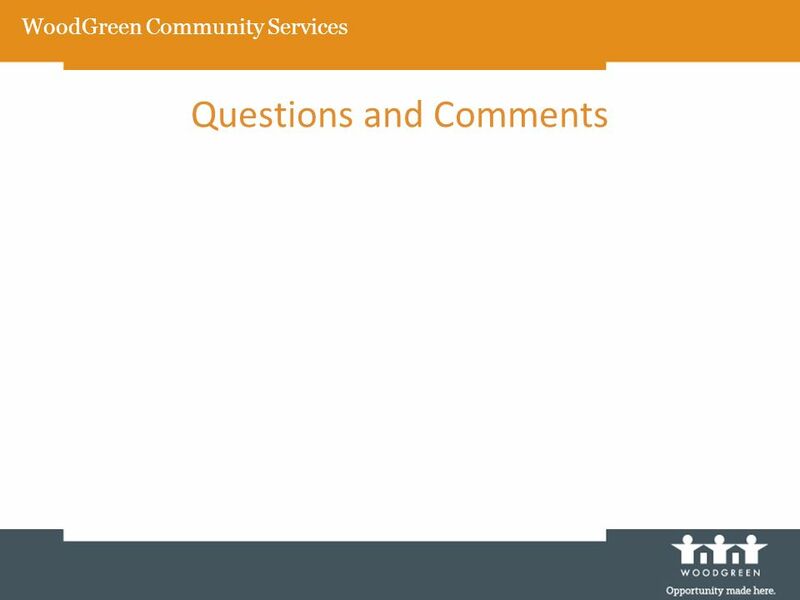 Download ppt "Aging and Ethnicity Responding to Diversity in Senior Services WoodGreen Community Services." 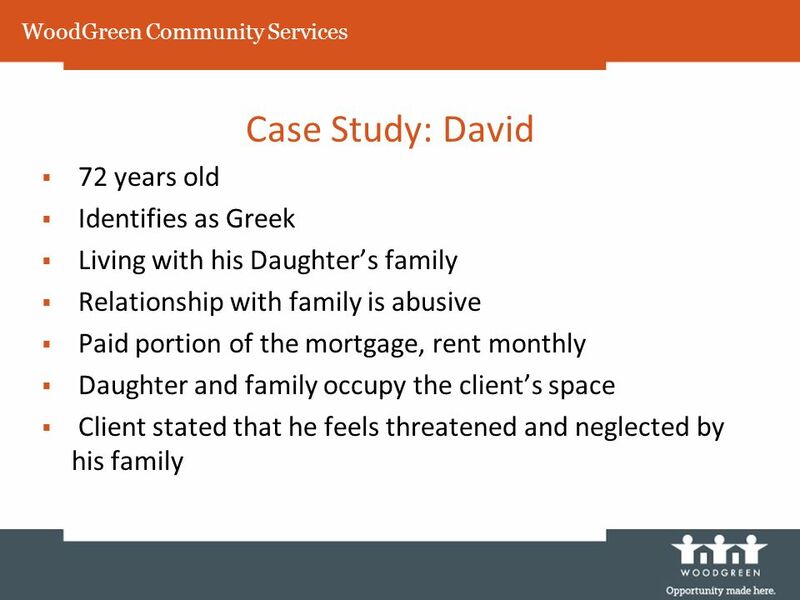 Offers recovery and rehabilitation support in ARAFEMIs housing or in a persons home. 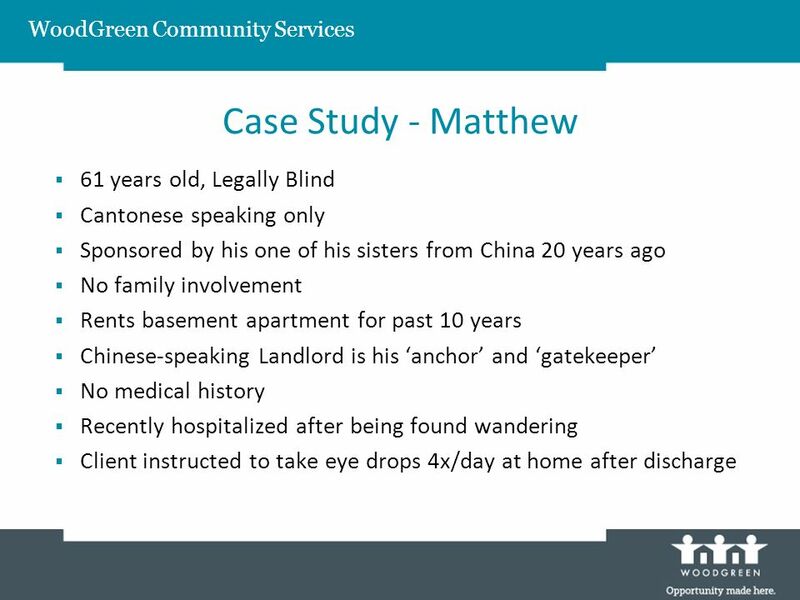 Home-Based Outreach Services. 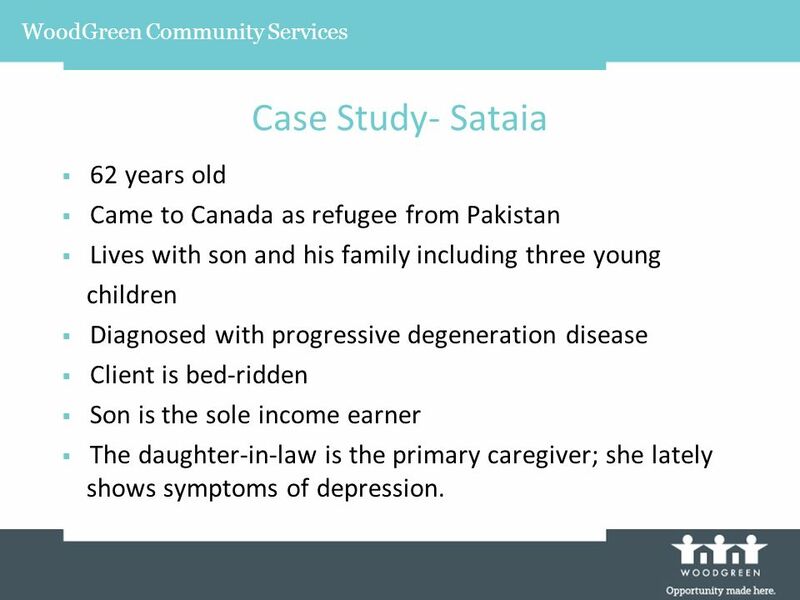 Somali Muslim Case Story Deb Thomalla, R.N.. Deb Thomalla, personal profile Married 30 years: 4 adult children, 2 grandsons RN Case Manager for Arise. 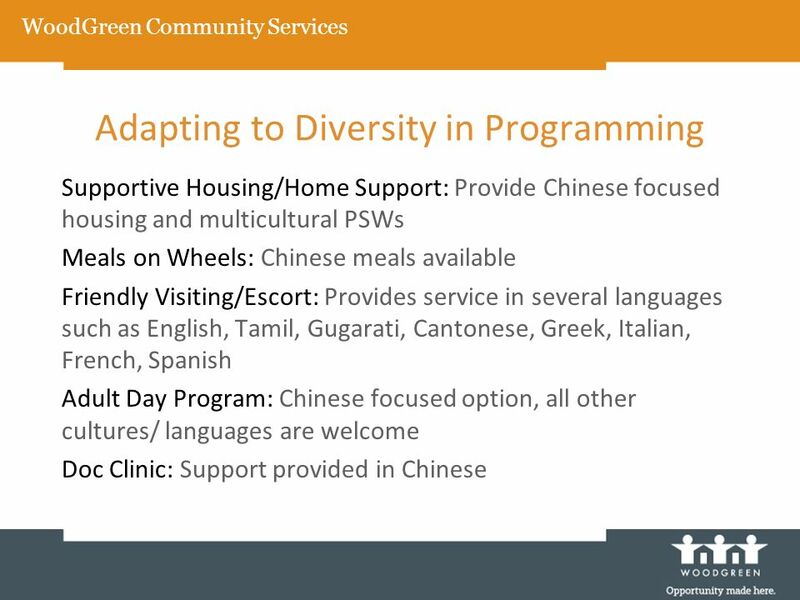 Linguistically and Culturally Responsive Care Elizabeth Stanger Regional Coordinator, Language Services, Cross Cultural Health & Diversity. How to reach and engage with young people from black and minority ethnic groups who may require help from mental health services What needs to happen. 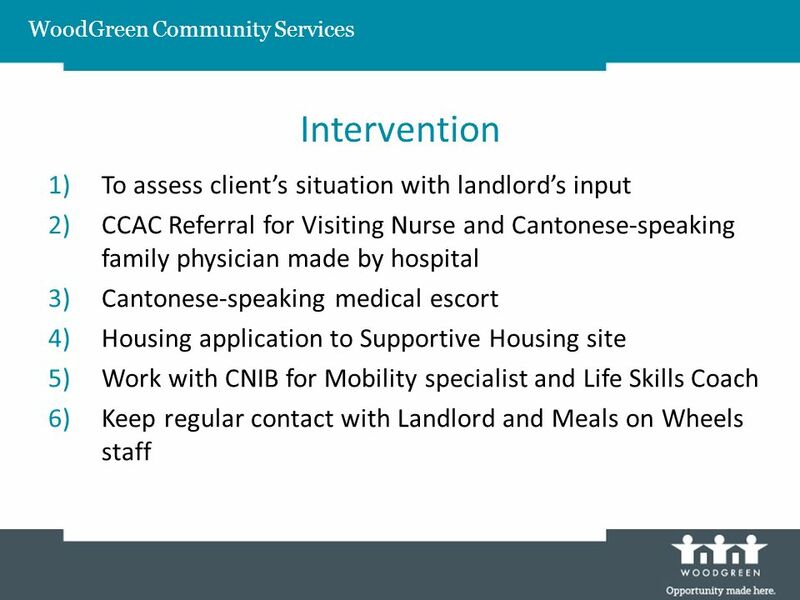 Purpose of Information and Referral Services?. 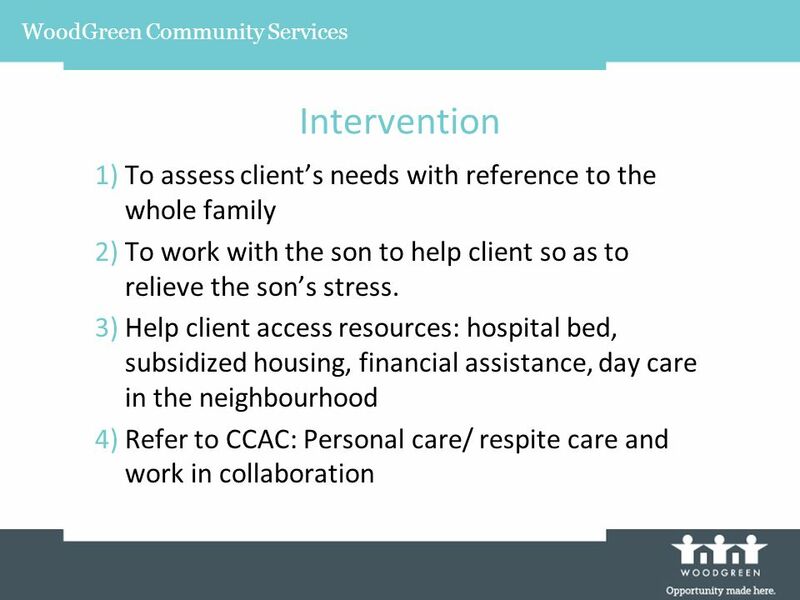 Purpose of Information and Referral Services The primary purpose of Information and Referral services is. Presentation to Mental Health Board January 14, 2013 Eva Lomeli, LCSW. Children’s Partnership Strategic Planning Process & Outcomes April 2014 Children First Feedback Session. Serving Caregivers Before Crisis Rhonda J. V. Montgomery, Ph.D. University of Kansas. MATERNAL DEPRESSION PROJECT/EAST BATON ROUGE PARISH Presented by Becky Decker, LCSW Louisiana Office of Public Health. Caring. Carers Paid Social Carers: Staff who work with people in residential care homes, in day centres and who provide care in someone’s home Unpaid. MIFA’s mission & vision Mission: MIFA engages the community to sustain the independence of seniors, transform the lives of families in crisis, and equip. Eldercare in the Workplace Survey Summary June 2010 Prepared by: Center for Healthy Aging. Here to Stay Research Conference Presentation will provide an understanding of the lives and experiences of BME with learning disability as an oppressed. 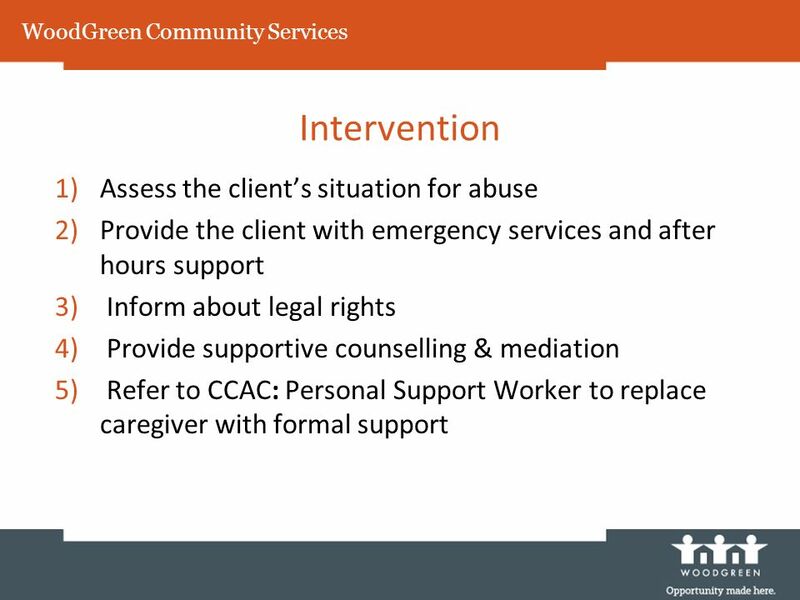 Responding to an Elder Abuse Case in the Community: A Collaborative Approach Maggie McNally Senior Case Worker for the Protection of Older People North. 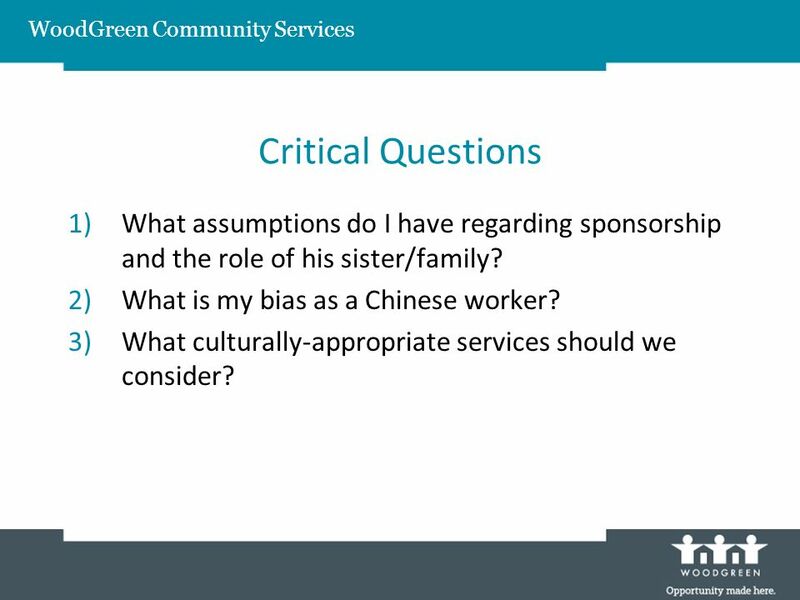 Assessing and Supporting Family Caregivers. Family Focus Each family is unique. Nurses must be aware and sensitive to the varied communication styles. Www.uwsv.orgwww.211scc.org. www.uwsv.orgwww.211scc.org United Way mission statement Mission Improve lives by mobilizing the caring power of the community.